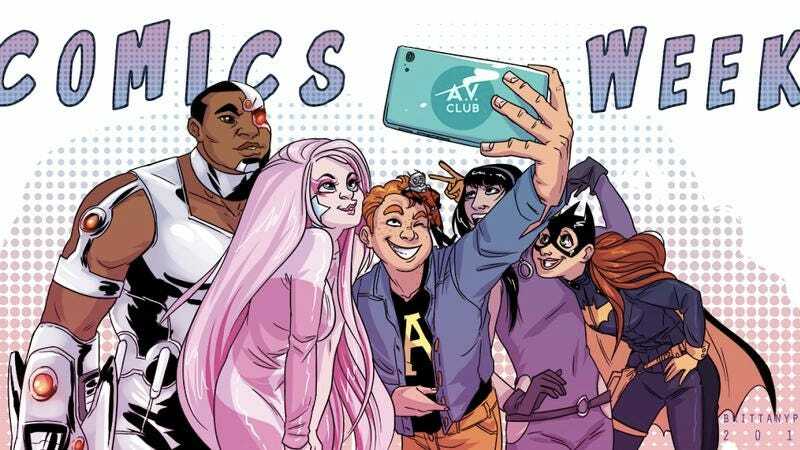 It’s Comics Week at The A.V. Club! With last week’s release of the latest superhero to join the crowded landscape and a full week to recover from Comic-Con, we bring you a week of content dedicated to comics. To start things off, comics contributor Tim O’Neil will help you bone up on the history of Ant-Man, Oliver Sava interviews the amazing Archie and Saga illustrator Fiona Staples, and for the uninitiated, we’re providing recommendations of where to get started in the large, sometimes intimidating world of comics. We’ll follow up with more recommendations on Wednesday from people who work at some of our favorite comics shops. There’s a helpful primer of the Marvel Cinematic Universe, an examination of fashion in comics, interviews with Jon Morris, David F. Walker, and Kris Mukai, and comics themed Hear This and Watch This all week. And to even the tide against all the winners populating herodom, we’ve asked some of our favorite illustrators to draw us loser superheroes; Gemma Correll’s dismal Possum Girl starts off the week.